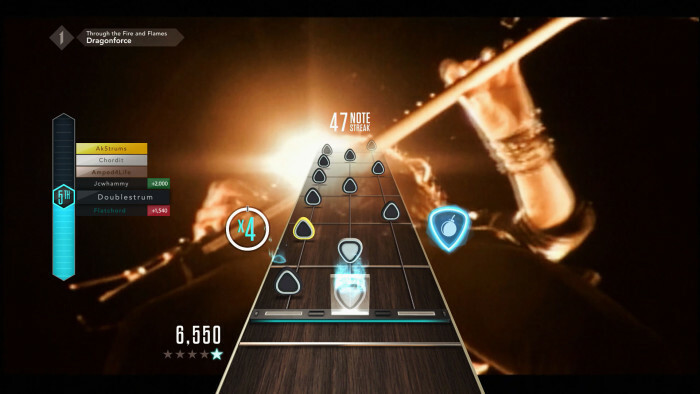 Just about anyone who was a child in the 2000s remembers “Through the Fire and Flames,” a power metal hit from the band DragonForce that’s synonymous with Guitar Hero skill. Today, children of the new millennium can rejoice because “Through the Fire and Flames” will be available to play in Guitar Hero Live‘s GHTV mode. However, the song won’t be up for long — it’s part of a limited time event called the SHRED-A-THON which will only last from today until 7:00am PST on Monday, February 8. The SHRED-A-THON allows matchmade players to compete head-to-head on the songs they grew up playing in the game. Those who participate in the event will be able to compete for prizes such as an in-game Player Card, song play tokes, shirts, gold Guitar Hero Live controllers, and other game-related swag by keeping an eye on the official Guitar Hero Twitter. Yeah, your Hot Topic-wearing younger self is probably super excited right now.